Today was our last full day in Texas, we’re traveling home tomorrow. The staff here held a debrief to talk about what has impacted us this week. One of the main topics discussed was how do we take home what we’ve experienced. Jackie asked us what we’ve learned this week in regards to people’s needs when they’ve experienced a disaster. We learned that first and foremost – they need love, community, prayer, and people – so much more than they need stuff. She told us that knowledge was what we can take home with us. When there’s a fire or a tornado nearby, don’t just donate items. Go to the area, pray with people, listen to their stories, and find out what they need; instead of just giving stuff. “What you did here, you can do at home,” she reminded us. We have appreciated the staff here and the host church so much. Imagine if 30 people moved in to ROL every week to stay for the next six or seven days. This community of believers is so awesome to do this. The ReachGlobal staff is amazing. They’ve taken such great care of us and they have this down to a science when volunteers come in. Christina greeted us when we got here, cooked for us, helped with anything we needed, and was just amazing overall. The site supervisors plan out the work ahead of time for the entire week so everything runs like clockwork. We have gotten to know these guys pretty well and all of us just loved our leaders. Each team spent the week arguing that they were the best (my team was actually the best). We left this week with new family and I would guess that 95 percent of us would come back again if given the chance. Jackie coordinates all the big stuff here. Grant writing, bringing in new staff, and getting ready for what’s next. 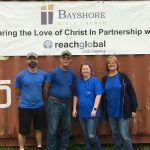 ReachGlobal was in contact with Bayshore Church three to five days before Hurricane Harvey even hit. They were keeping an eye on the storm and it looked like it was going to strike this region, so they were in touch with area churches to see who would partner with them. Their teams were on the ground and running as soon as it was safe. It is truly a fantastic organization. Being the Minnesotans that we are, we all wish we’d been able to do more, but our work was finalized shortly after noon today. This evening the team enjoyed a dinner out at a great restaurant right down by the water. 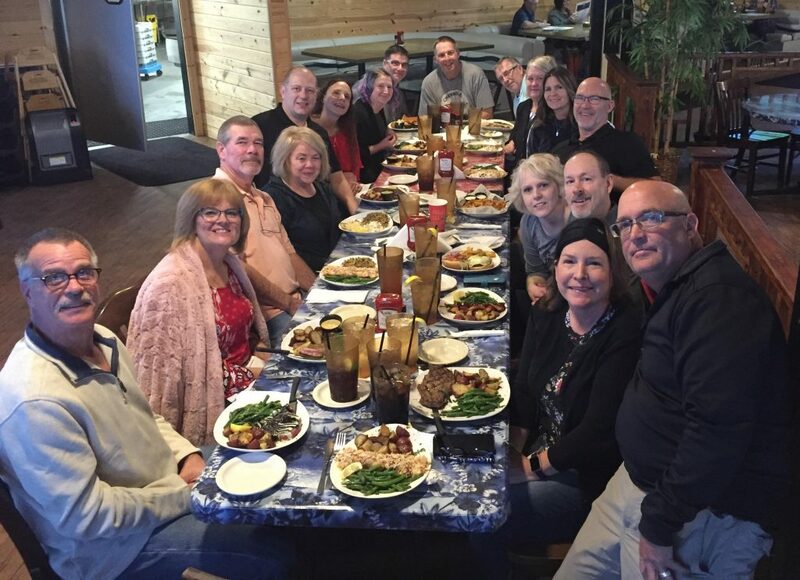 The seafood was fantastic and we had a great time of fellowship after the long week of work. It’s bittersweet to head home tomorrow, but we’re leaving far richer than we came, with cups overflowing.